Urgent update folks: A super-smart commenter noted that the Colorganics brand I had researched a few years ago and had thought to be lead-free was in fact on the FDA's 2012 expanded survey list of products that did contain some lead. SO! I am after all going to need to do my research again, and go lipstick-free for a time. I will also contact the company about this. The other brand I mentioned, Zuzu Luxe, states they test their products and are committed to selling lipsticks without lead contamination but I see some of their products on that survey list as well. So STAY TUNED. Before: Turns out my L'Oreal lipstick was full of lead; After: Colorganics Hemp Organic lipsticks (shown here in Ruby) are made from hemp and beeswax and are allergen-free—but what about lead? I'm giving my beauty routine a serious green makeover. I've been going through all the personal care products my family uses one by one — from baby shampoo and eczema lotion to sun block to makeup and nail polish — and replacing them with non-toxic, allergy-free, organic and/or more sustainable alternatives. These things can be challenging to find, so I'd thought I'd share my research — and some of my new favorite non-toxic beauty products and sources! Today's featured find: safe lipstick. How this all started: A few years ago when I was pregnant — and extra-worried about what I was putting in or on my body — I watched this eye-opening short animated video, "The Story of Cosmetics: The Ugly Truth of Toxins In, Toxics Out". So I took a close look at all the products in my medicine cabinet (with some help from the Environmental Working Group's Skin Deep Database)... and immediately tossed most of them out. For a while I didn't have ANY makeup to wear (not good for a vintage-inspired look! ), and I was washing my hair with organic baby shampoo. Why the freak-out? Beauty and personal care products don't HAVE to be poisonous. But many mainstream makeup and bath products are loaded with toxic chemicals, carcinogens and nasty irritants ... and even serious toxins NOT listed on their ingredient labels, like lead. 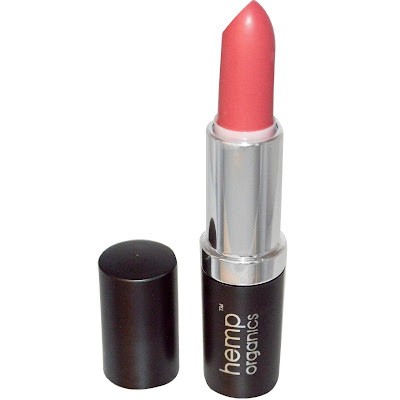 Hemp Organics lipstick by Colorganics in Coral: made with hemp, beeswax, and other organic, allergen-free and GMO-free ingredients. The problem: FDA testing has found many lipsticks are packed with deadly contaminants and carcinogens like lead and cadmium. These aren't ingredients listed on the label, but companies are not required to test their products for contamination — and most don't bother to. And take note — one of the top 20 offenders was a lip shimmer sold by "natural" favorite Burt's Bees. My before lipsticks: I mostly used long-wearing lipsticks from Revlon and L'Oreal. Both brands featured heavily in the top 20 lead-containing lipsticks, so I just went lipstick-free until I found something safer. The hunt: I prefer to test out lipstick shades in person, so I started with the Whole Foods Whole Body store near my office. But all the natural and organic lipsticks they stocked contained things my daughter was allergic too — like sesame or walnuts — and I wasn't about to stop covering her little cheeks in kisses just to look pretty. I finally found what I was looking for at the beauty counter at Perelandra, a fantastic natural foods store in Brooklyn. My after lipstick: Hemp Organics lipstick by Colorganics. 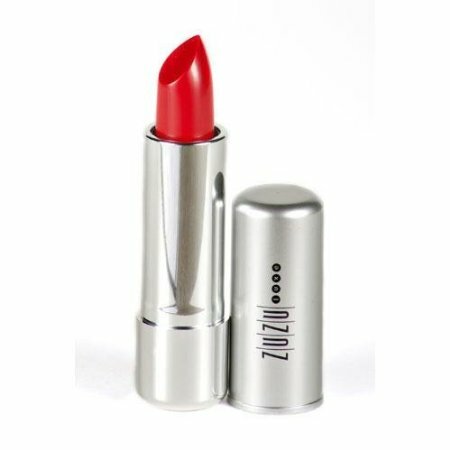 At $15-$17 a tube, it's a bit pricier than toxic lipsticks, so I own just two shades for now: Coral for everyday wear, and a deep Ruby red for evening and dress-up. I've been wearing this stuff for over two years and I love it! I call it my hippie lipstick, because it's made from hemp seed, beeswax, sunflower oil, natural pigments and not much else. It's organic, gluten-free, GMO-free and free of tree nut, peanut and sesame oils too. Read more about Colorganics and their philosophy on their website. A. Yes. We have tight quality control policies and can assure that each product is tested during and after manufacturing for pH values, viscosity, microorganisms or any other contaminants. I hope this post was helpful, rather than scary—everyone has to decide what level of risk they are comfortable with of course, and there's no way to make your life totally toxin free... but I think personal care products are a great place to start, since we slather so many of them directly on our skin each day, and well... lipstick gets in your mouth, too! Watch: The Story of Stuff: The Story of Cosmetics. Learn More & Take Action: The Campaign for Safe Cosmetics. This situation is NOT OK—we shouldn't have to do extensive research in obscure stores to find the few products that won't poison us. We need transparent, clear labeling and we need to regulate toxic ingredients and remove them from personal care products altogether. 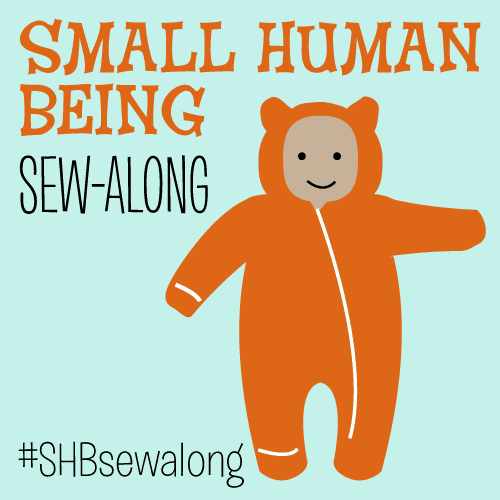 Check Your Products: Environmental Working Group's Skin Deep database. But note that the database can only tell you about voluntarily LISTED ingredients, not unlisted contaminants like lead. So you might want to err on the side of companies specifically committed to producing safe, non-toxic products. Green Beauty Blogs: No More Dirty Looks, Daily Green Natural Beauty Blog. So, do you have a favorite non-toxic lipstick? Are you as frustrated as I am by how hard these things are to hunt down... and as angry that companies are selling us poisonous beauty products? And what's with all the new "luxury organic" lipsticks that actually contain awful ingredients when you look into them more closely? BLECH. Awesome post! Thanks for doing the legwork. Off to check some of those links and my meager cosmetic supply for offenders. Excellent idea! There are so many environmental dangers we can't easily control, but what we slather on our skin (or clean our houses with) is an area where we can easily have an impact. Hard to believe they're still putting lead in lipstick! I know. It's less that they PUT lead in the lipstick than they don't bother to test for lead or source their pigments from lead-free sources. It's super irresponsible. We're the same way about cleaning products, too. We started out buy just buying safe cleaning products (the EWG has a great database for that too: http://www.ewg.org/guides/cleaners) but it's also possible to make many with basic ingredients like vinegar and baking soda... we're not at that point yet, though! Thank you for this. I have become very aware of all this but haven't done very much about it. It's so hard to find the truth! I have recently 'greened' my home cleaning products but it is scary what we are putting onto / into our bodies every day. This lipstick looks lovely - I'll watch your posts in this series with interest! I know, it is scary! And it's not like I can just MAKE lipstick myself either. But cleaning products are a great start for greening, since they can really give off toxic fumes and get in your lungs and food, too. My goodness this IS scary, but important to know about. Lead in lipstick? Crazy. And I love Burts Bees so I'm really sad about that. Thanks for the information, plenty to think about here. Thanks for the information! I've gotten really into non-toxic cleaning over the last few years, but haven't quite made the leap to cosmetics and lotions and such. I love my new cleaning habit, though, the house feels fresher somehow. Greenwashing. Yep. I recently had to return my Tom's of Maine deodorant because it has aluminum chlorohydrate in it. Thank you for this article! I'm a little confused, because Colorganics lipsticks certainly contain lead and in far greater quantities than drugstore brands like Wet n' Wild which aren't necessarily associated with "green" or "nontoxic" qualities. When the FDA did the 2012 study, 400 lipsticks were purchased from the drugstore and evaluated. Two tubes of the same shade of Colorganics both tested with roughly half the amount of lead that the average lipsticks in the top 20 clocked in with. Whoa! I guess I didn't do my research closely enough after all. CRAP! Will need to revise this post and find a new brand... if one even exists. Thank you Kaci! I'm going to contact the company and ask them about this as well in case they've changed their practices. But in the meantime I'm going to have to go lipstick free again. 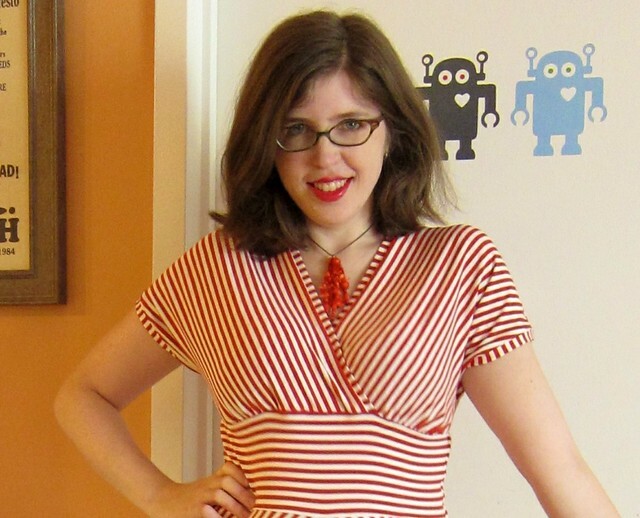 Mikhaela, I love reading your blog and I feel HORRIBLE that I've made you hate your lovely lipstick. I dislike that companies prey on consumer's insecurities - charging more for organic/nontoxic products should be a result of actual care taken to rid those ingredients from their products, not just clever marketing and packaging. I also wanted to add that I find the press blurb for the Gabriel/Zuzu company troubling: instead of proudly stating that their products will test free of lead (which is what the question is asking) they mention quality control procedures that measure "pH values, viscosity, microorganisms or any other contaminants". Lead contamination has nothing to do with acidity/baseness, slipperiness,a fungus/bacteria or something inadvertently added during the process. Their answer seems evasive to me. Kaci, please don't apologize! From my understanding there really is no "safe" level of lead, and lipstick goes on the mouth... the same mouth I kiss my little girl with on the cheek a million times a day. Really, it's so ironic that I seem to have fallen for the same greenwashing I warned about! I appreciate you calling this to my attention! And I agree with you that the Gabriel answer is a bit weird. After further research, I am starting to wonder if there actually ARE any truly safe--or at least safer!—brands of lipstick out there. That said, since some lipsticks have tested to have very low or undetectable levels of lead, that does give me hope and I will do further research on this. In the meantime, I am totally cool with going lipstick free, I've done it before! Honestly, this feels like a very similar process to trying to find foods that are safe for my allergic daughter to eat. I spend way too much time having to call food companies each month and ask "Is your pasta still made in a sesame-, nut-, egg- and dairy-free facility?" etc. So I think this is going to take me a bit of time to properly research and test. But in the meantime, this blog post is pretty fascinating — she interviewed a number of organic and natural cosmetics companies about the lead in lipstick issue. It's also interesting to note that both Gabriel/Zuzu and Colorganics have signed on to the Campaign for Safe Cosmetics in the past. So, this may not be something you would be interested in, but I wanted to share and let you make that choice yourself. I've seen tutorials on making your own lipstick from castor oil, shea butter, and Crayola crayons. I have to admit, I feel better about Crayola crayons than many lipsticks out there. I've been meaning to make some of this as play makeup for my two kiddos, since they always are begging to wear my lipstick, and I'm pretty sure it isn't lead free. My mother in law (who makes homemade soaps and other awesome beauty products) told me about that too. I'll investigate! Not sure where Crayola gets their pigments or whether they are considered safe for on the mouth though I would guess they are safer than most lipsticks (and I ate my share of crayon bits as a kid). All of the other lipsticks on my list are mineral pigments so likely have some level of lead in them. It is tricky if you are trying to eliminate all lead from your lipstick. I only wear lipstick once in a while so I don't really worry about the trace amounts of lead in them. Also I am vegan so beeswax leaves me out of most natural lipsticks so my list is short. You should give Honeybee Gardens a shot. 100% Pure is great, too.